To get you started, free handwriting resources including free downloadable paper and book samples. Many children are able to write legibly in their handwriting books, but struggle to transfer their neat handwriting into other subjects. At Morrells Handwriting, we know how important it is for children to use neat and legible handwriting in all of their work. Some children find it difficult to keep the height of their letters at an even size. 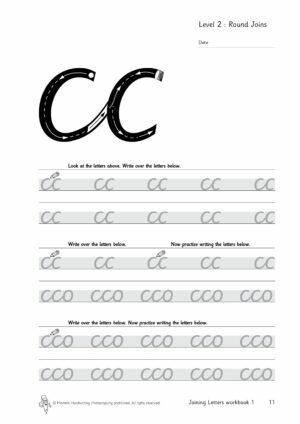 Many of our customers tell us that they love the shaded lines in our handwriting workbooks, so we decided to create our very own handwriting paper and give it to you for free. Our free handwriting practice paper is a welcome new addition to the Morrells resources. We have created the handwriting practice paper to complement our handwriting workbooks for you to use at home or in school. The wide lined paper is perfect for Key Stage 1 to practise their handwriting on and uses the same size lines and shaded area used in our Letter Formation Workbooks 1 and 2 and our Joining Letters Workbooks 1 and 2. 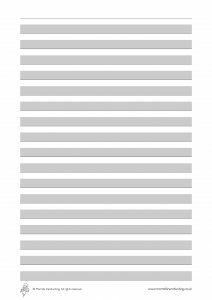 The narrow lined practice paper is ideal for Key Stage 2 and above and uses the same shaded area used in our handwriting workbooks to show the height of the lower case letters. 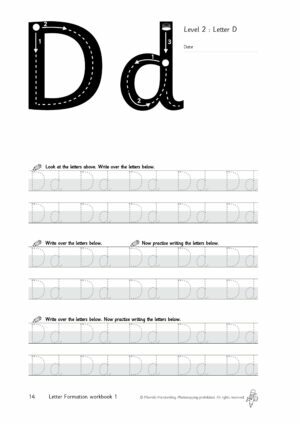 This practice paper is perfect to use with our Letter Formation Workbook 3 and Joining Letters Workbook 3. At Morrells Handwriting we know how difficult it is to see how our resources differ from any other handwriting practice books out there. We know how great they are because we see and hear about the results from around the UK all of the time. So instead of us telling you how fantastic our handwriting resources are, we thought you may like to try them for yourself before you buy. Our free taster book samples show how our unique ‘bounce technique’ helps the writer use the correct orientation and direction of each letter and join. 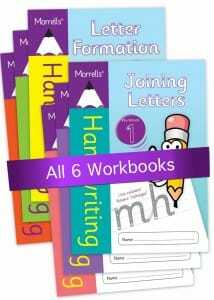 Enjoy learning to write with Morrells. Our handwriting practice papers and book samples are free to download and can be printed onto any colour paper. Please remember that our handwriting paper is for personal use only at home and in school. Our free downloadable handwriting practice paper and book samples are covered by copyright. No part of Morrells Handwriting publications may be reproduced, photocopied, stored in a retrieval system, copied or transmitted in anyway, or by means, electronic, mechanical, photocopying, recording or otherwise without the prior written permission of the Author. The copyright in any books, materials and/or products supplied by Morrells Handwriting, or under the Morrells Handwriting brand, belongs solely and exclusively to Morrells Handwriting and may not be altered, reproduced or copied without Morrells Handwriting’s written permission. Morrells Handwriting always prosecutes of Morrells Handwriting intellectual property and shall further constitute a violation of our trademarks, copyrights, and other rights, including, but not limited to, rights of privacy. Without further notice we will prosecute to the fullest extent allowed by law. All rights reserved. Please contact us if you wish to use our handwriting papers for commercial use.